Hideo Itami was the focus of 205 Live’s web series this week and footage was shown of the wrestler hugging his peers on the way out of WWE. 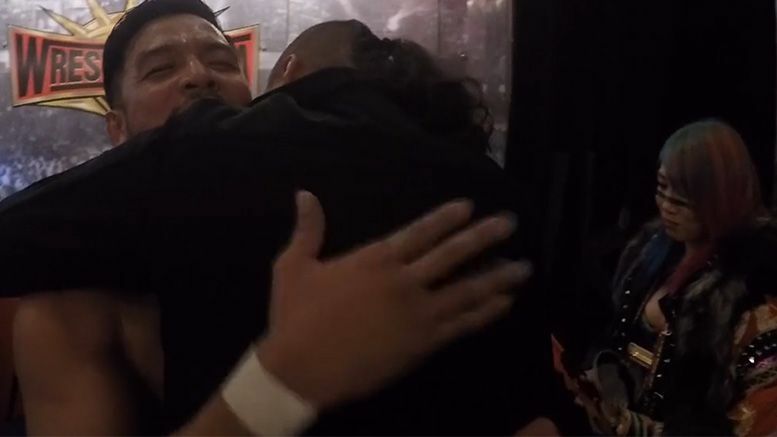 On the latest 205 Life, which was shot between 1/22 and 1/29, Itami talks about some of the things he struggled with during his time in WWE like language and being homesick. In case you missed, Fightful first reported last week that Hideo had requested his release. So far, WWE has not commented on the matter publicly. The video ends with the wrestler embracing Shinsuke Nakamura, Asuka and Arn Anderson following his final match on 205 Live. Others in the gorilla position are clapping. #205Life – 008 from 205Life on Vimeo.